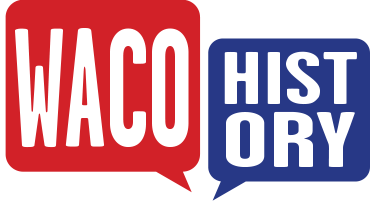 On June 18, 1918, a troop train carrying soldiers from Camp MacArthur’s 80th Field Artillery left East Waco and traveled eastward on the Cotton Belt line, heading toward a southern training camp. 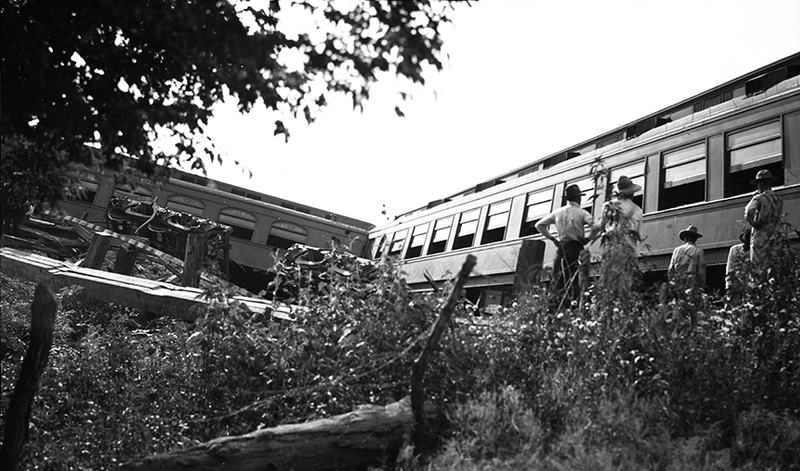 After traveling for fifteen minutes (about seven miles), the train derailed just north of Selby, killing Corporals Laurn Harrell and August Handschumacher, Jr. and injuring about thirty military personnel and four railroad employees. 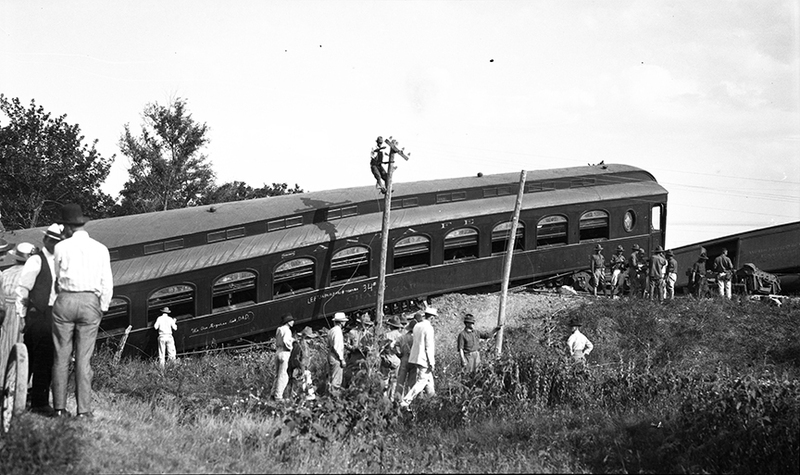 According to a report made by the Interstate Commerce Commission (ICC) on the incident, Troop Train Number 264 consisted of fourteen passenger coaches, six freight cars, and a caboose, and was a Baldwin Consolidation-type, 2-8-0, Number 510, of the St. Louis Southwestern Railway of Texas, also known as the Cotton Belt line. 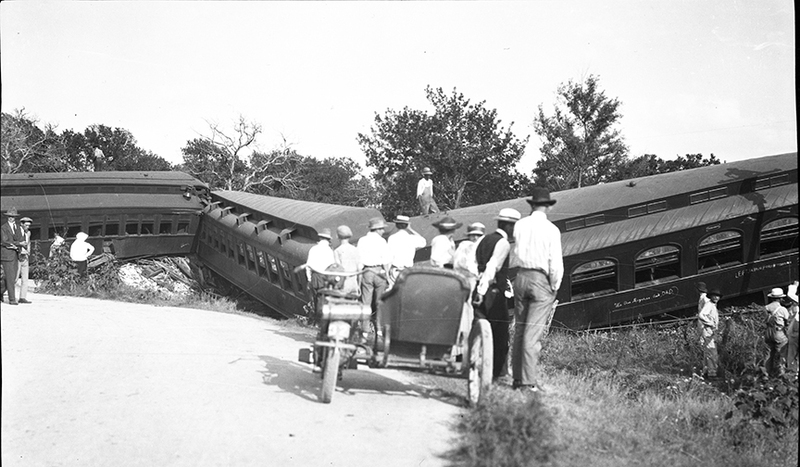 Much speculation followed the incident as to the cause. 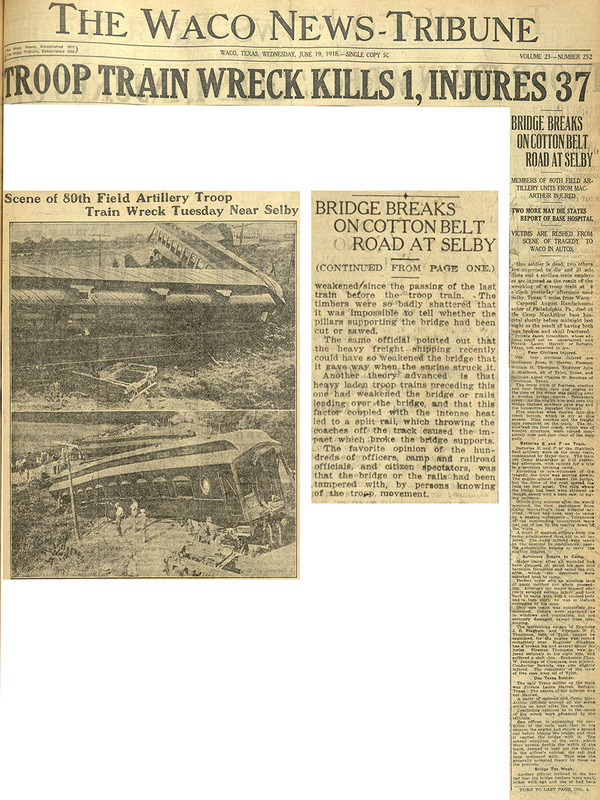 On June 19, 1918, the Waco News-Tribune reported on a popular belief: “The favorite opinion of the hundreds of officers, camp and railroad officials, and citizen spectators, was that the bridge or the rails had been tampered with, by persons knowing of the troop movement.” With the United States into its second year of involvement in World War I, it is not surprising that such theories of sabotage were being put forth. 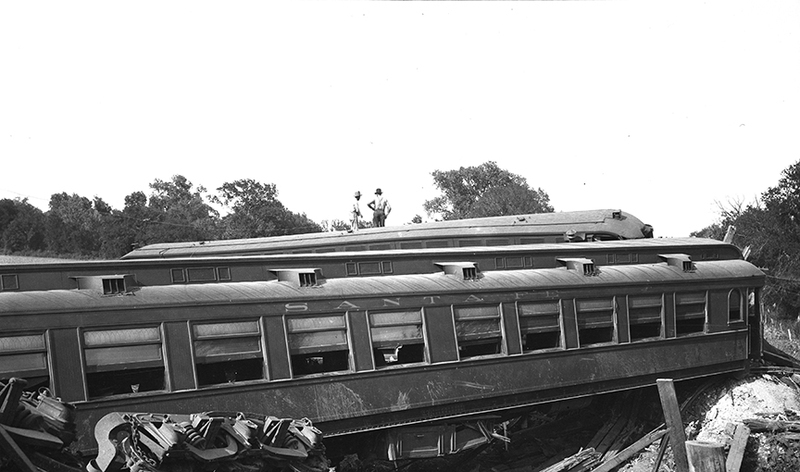 Just a few days after the derailment, the investigation reports debunked these theories. 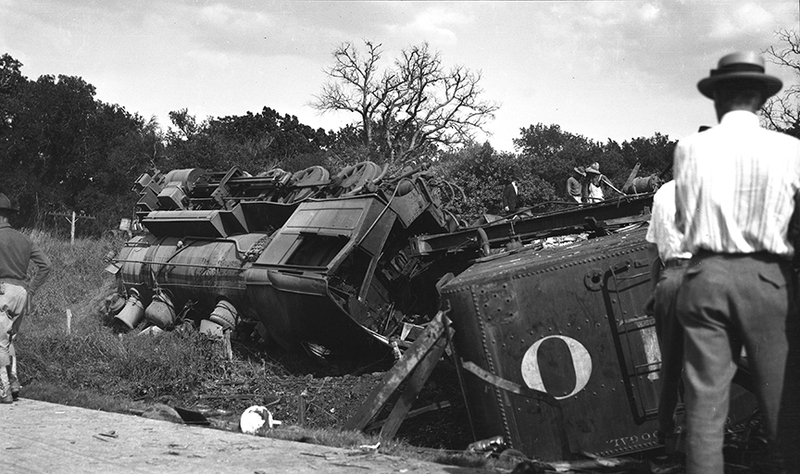 Geoff Hunt, “Camp MacArthur Troop Train Derailment,” Waco History, accessed April 19, 2019, https://wacohistory.org/items/show/142. 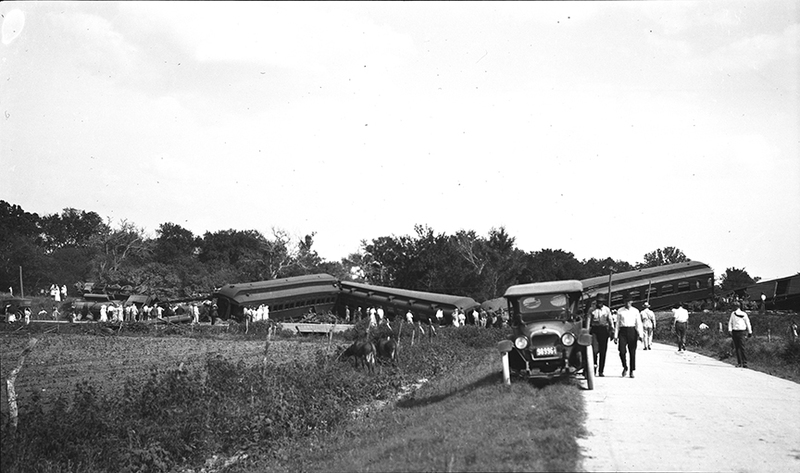 A version of this article originally appeared on the Texas Collection blog. Hunt, Geoff. 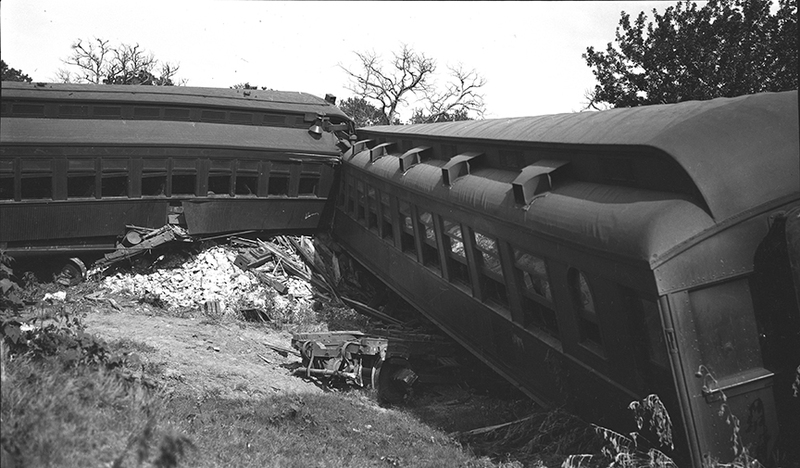 “Understanding a Derailment: Camp MacArthur Train No. 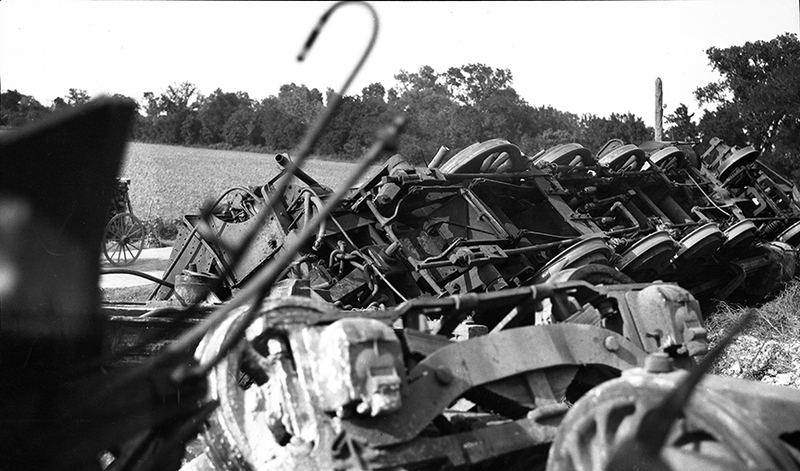 264.” The Texas Collection (blog). 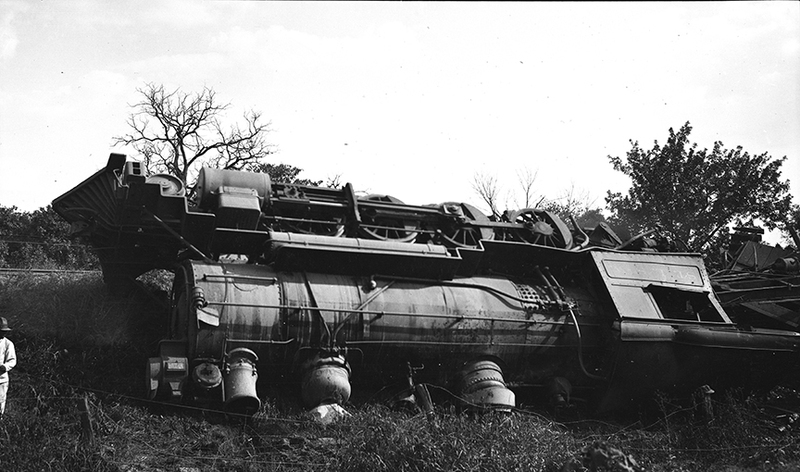 June 17, 2016. https://blogs.baylor.edu/texascollection/2016/06/17/understanding-a-derailment-camp-macarthur-train-no-264/. Accessed September 1, 2016.